Tailoring PGR timings and treatments to your varieties and current growth can enhance rooting and standing power later in the season. Cereal crops will race through growth stages as soils warm up growth and day length extends. But whilst forward plants are the obvious target for growth regulation, growers are reminded that it is backward crops that can benefit immensely from a T0 Moddus treatment. The key to better standing and higher yields at harvest is to build a bigger root mass now, urges Syngenta Field Technical Manager, James Southgate. “Trial crops on Syngenta Innovation Centres across the UK show it’s a season of two halves,” he reported. Cool nights and, increasingly, dry conditions in eastern counties, is keeping some backward crops in check. It is a reminder that deeper rooting can be essential to extract any available moisture and nutrients from dry soils. 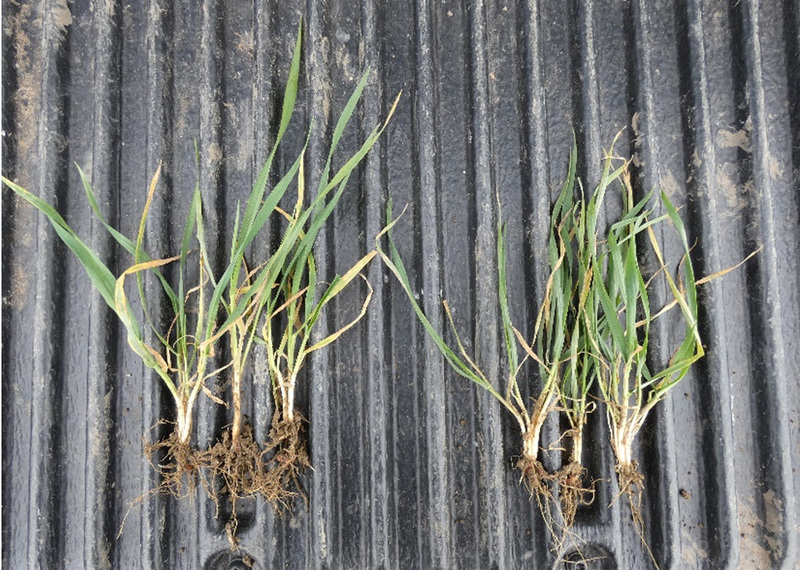 This season, early drilled wheat with good root systems are looking to be thicker crops. On the Newark Innovation Centre, in association with Beeswax Farming, for example, Gleam drilled on 5 October is thick and advanced (above, left), compared to the drilling on 11 November. 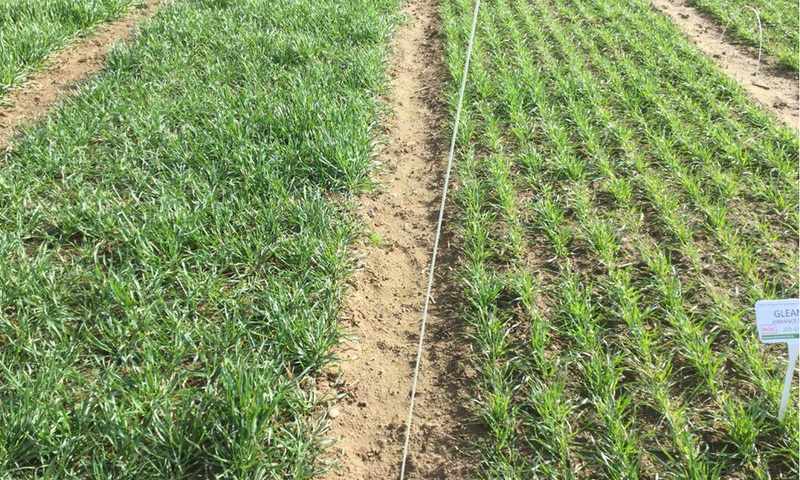 “These crops may be in greater need of a split PGR application - at T0 and T1 - that will give more consistent, prolonged regulation and stronger stems." “For earlier drilled crops that have come through the winter well, a greater emphasis or higher rates should be targeted at later PGR applications, aimed at shortening crop height to reduce risk of lodging,” he advocated.